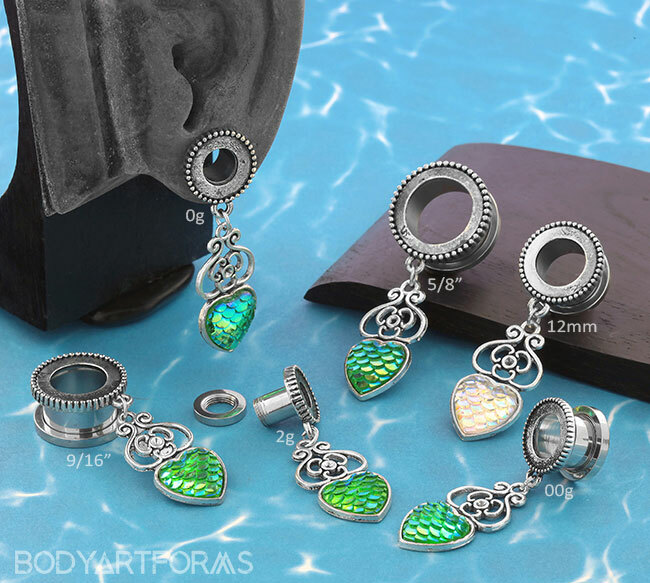 These glowing eyelets showcase an iridescent mermaid heart in either green or white that is crowned with an ornate design. Available in 2g through 5/8". These eyelets are crafted from stainless steel eyelets with a front design and dangle that is made using plated base metal. Items with an acrylic wearable area should be worn in completely healed piercings only.